In the preceding part of this article, I have given you an overview of the biography of Hunayn ibn Ishaq, a renowned Nestorian Christian translator, scholar and physician during the Golden Age of Islam of the Abbasid Caliphate. In this section, I will then give you a deeper insight into the House of Wisdom which Hunayn served in, as well as the numerous translated and self-written works of the great physician. 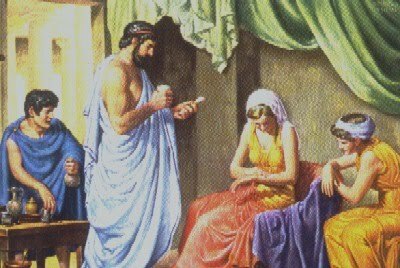 Before we move on, it will be useful for us to find out more about the famous House of Wisdom that I’ve mentioned in the preceding part of this article. Basically, the House of Wisdom, also known as Bait al-Hikma (بيت الحكمة) or Baitul Hikmah, was the main library and institution of translation in the Abbasid empire. 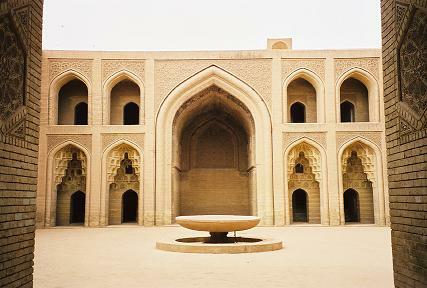 Situated in the Abbasid capital of Baghdad, the Bait al-Hikma functioned as the ultimate centre of translation and dissemination of knowledge in the empire. Prominent scholars and men of intellect often met there to acquire knowledge and discuss academic matters. 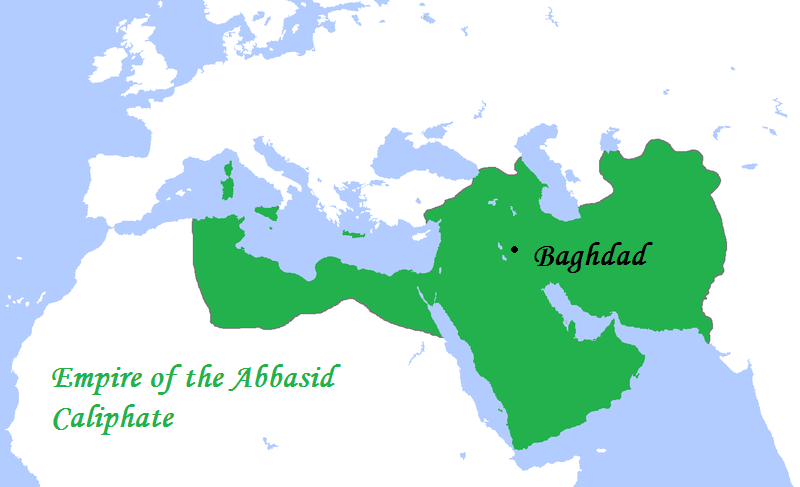 It was established by Caliph Harun al-Rashid (763 – 809) and flourished from the 9th to 13th centuries. During the Golden Age of Islam, the House of Wisdom became an unrivalled centre for research and education, concentrating on various fields such as medicine, humanities, geography, mathematics, astronomy, physics, chemistry and zoology. It is an undeniable fact that the House of Wisdom was an extremely prestigious institution for lovers of knowledge and the sciences who lived during that era. Scholars and researchers who served in this institution were highly distinguished and learned. As such, to be placed in charge of such an esteemed institution was a highly honourable privilege reserved only for the crème de la crème of the era, of which Hunayn happens to be one of them. As you’ve read in the preceding part of this article, Hunayn was appointed to be in charge of the Bait al-Hikma in 830, when Caliph Al-Ma’mun found out about his extraordinary talent and skills in translating complex Greek medical manuscripts into Arabic. Since then, Hunayn had been actively involved in translating numerous Greek works into Syriac and Arabic. He was frequently assisted by his son, Ishaq ibn Hunayn and his nephew, Hubaysh ibn al-Hasan. 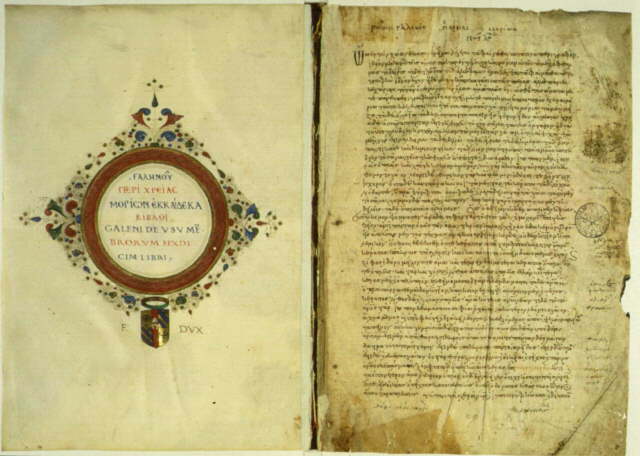 The methods that Hunayn applied in translating Greek works into Syriac and Arabic were unique and distinct from other contemporary translators of his time. While the trend of the era was to translate foreign academic works into Arabic word by word, Hunayn strongly objected to this method. 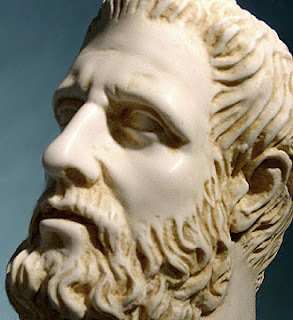 He frequently applied a different method in translating Greek academic works, in which his first step was to gather various manuscripts revolving around a particular subject. His next step was to compare these manuscripts to each other so as to obtain the actual meaning of the subject and to reconstruct the original text according to it. Lastly, he would rewrite the reconstructed original text in Syriac or Arabic, thus producing a precise translation which was, at the same time, not taken exactly word by word from the original manuscripts. Such translated works were considered to have the finest quality, and this is proven by the fact that Hunayn was paid in gold according to their weight. Hunayn, although being a Nestorian Christian himself, was placed in charge of a predominantly Muslim institute of knowledge and had many Muslim scholars and students working under him. Many of his translations were pivotal in providing the medieval Muslim world with access to the most important Greek medical texts. 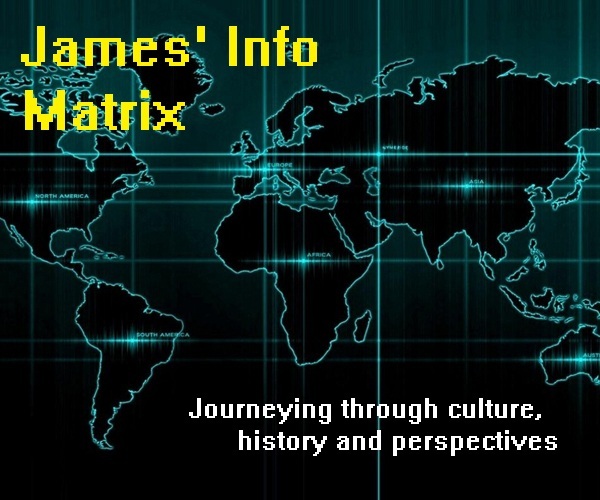 It was thus the works and efforts of a prominent Nestorian Christian physician that have laid the vital foundations for the expansion and development of medicine in the Muslim world in subsequent centuries – something that may be unknown to many. Not only did Hunayn render into Arabic many original Greek works written by the aforementioned Greek physicians, he also translated several commentaries written on those works, especially those by Greek physicians Oribasius (320 – 400) and Paul of Aeginata (ca. 625 – ca. 690). While being an active translator of Greek medical treatises, Hunayn was also a prolific writer who produced many original works of his own. One of his most well-known works is known as ‘Questions on Medicine for Beginners’, also known by its Arabic name of Kitab al-Masa’il fi at-tibb li-l-muta ‘allimin. This work served as an essential guide for medical students of that time to become familiarized with the basics in medicine before progressing further in their studies. In fact, it was later absorbed into medieval European medicine, in which it became an important and influential reference for many physicians there. Despite being what we would normally call a “general practitioner” or GP, Hunayn did specialize in a particular field of medicine, that is in the field of ophthalmology (study of the eye). This is proven by the fact that he penned various original works dealing with the anatomy (structure), physiology (function) and pathology (diseases) of the eye. 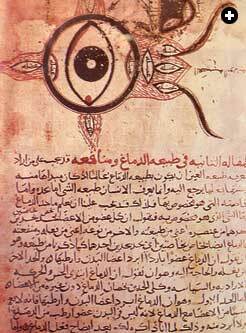 One such work was known as ‘The Ten Treatises on the Eye’ (Al-‘ashr maqalat fil-‘ain), in which Hunayn wrote in detail about the eye’s anatomy, as well as various diseases affecting the eye and their signs and symptoms, ranging from cysts and tumours to corneal ulcers and cataracts. He also discussed in this work several surgical procedures used in treating such conditions. This work is, in fact, widely accepted as the first systematic textbook on ophthalmology ever written. Its comprehensiveness rendered it as one of the main textbooks used in Abbasid medical schools during the era, besides being commonly consulted and quoted by European ophthalmologists in later centuries. It is incomplete to say that Hunayn was only a great physician who translated and wrote many works and treatises on medicine, for he was also actively involved in writing and translating literature pertaining to the Nestorian Christian faith. In the area of religion, Hunayn is best known for being involved in translating the Old Testament of the Greek Septuagint Bible into Arabic. 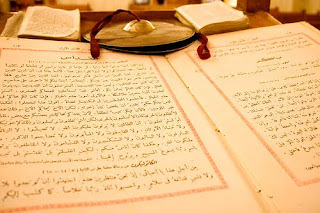 In fact, a famous Arab Muslim historian by the name of Al-Masudi (896 – 956) once wrote that Hunayn’s Arabic version of the Old Testament was translated directly from the Greek Septuagint Bible and that many considered this Arabic version to be the best translation of it. Furthermore, Hunayn wrote some materials and letters pertaining to the Nestorian Christian faith which were either publicly circulated or sent to specific individuals during that time. His religious writings comprised a blend of both biblical and philosophical elements. Hunayn once wrote a book entitled ‘How to Grasp Religion’, in which he discussed the truths of religion, the occurrence of miracles, the inability of humans to explain certain phenomena and other matters pertaining to religion. Other examples of Christian works by Hunayn include one in which he explained the evidences for the existence of the one true God and another one in which he discussed the ways to discern the true religion. The latter work, entitled ‘On How to Discern the Truth of Religion’ (Maqalat fi kayfiyat idrak haqiqat al-diyana) explains various ways to identify the true religion and differentiate it from other religions. As such, Hunayn expounded that Christianity corresponded with the reasons for which the truth has been accepted over falsehood. Pertaining to Hunayn’s active involvement in producing Christian-related materials, there is one incident which is worth mentioning here. This incident involves an exchange of letters between Hunayn and a Muslim astronomer in the caliph’s court, Ali ibn Yahya al-Munajjim. In this incident, Al-Munajjim first wrote a letter to Hunayn around the year 855, presenting arguments to prove that God had indeed sent Muhammad as a prophet to the world. Subsequently, Al-Munajjim asserted in his letter that as a reasonable and learned man, Hunayn should convert to Islam. 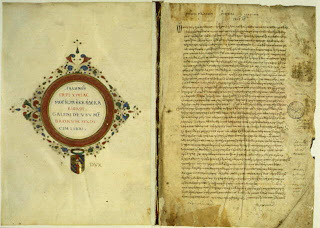 Hunayn replied this letter, in which he pointed out the astronomer’s fallacies in presenting such arguments while putting forward his own reasons as to why Christianity should be considered the true religion. 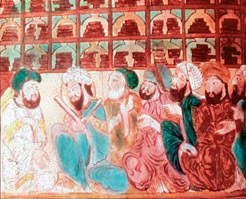 Progress in the field of medicine during the Golden Age of Islam had been made possible with the influx of Greek and Roman medical literature into the Abbasid Empire in the form of Arabic translations. Hence, Hunayn’s excellent command of Greek, Arabic and Syriac, combined with his exceptional skills in translating and synthesizing complex academic works, provided the medieval Islamic world with easy access to the finest medical knowledge of the era. In so doing, Hunayn had effectively laid the strong foundations for medicine to develop further in the Islamic world. Nevertheless, it is indeed surprising and amazing to know that it was actually a Nestorian Christian who laid these vital foundations in medieval Islamic medicine. In the final part of this article, I will be covering on a special chapter taken from the story of the life of Hunayn ibn Ishaq. Click on the link to find out what I mean!